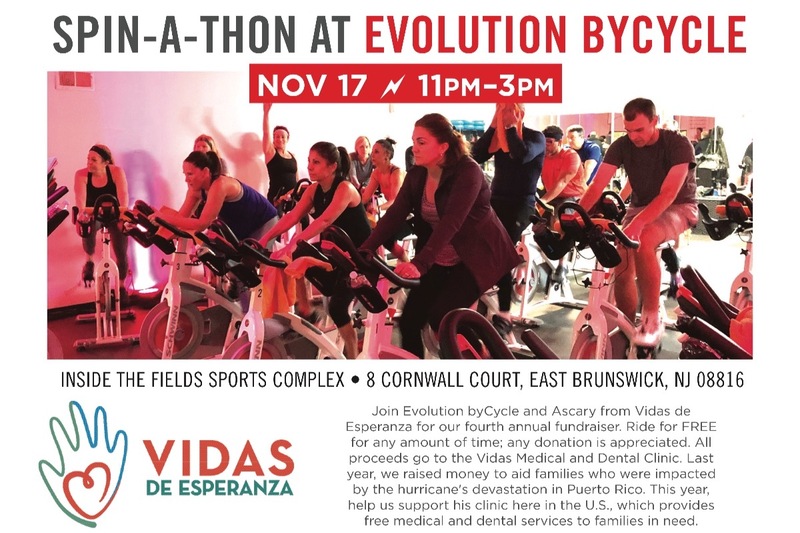 This is our 4th Annual Spin-A-Thon with our friend Ascary Arias, founder of Vidas De Esperanza. 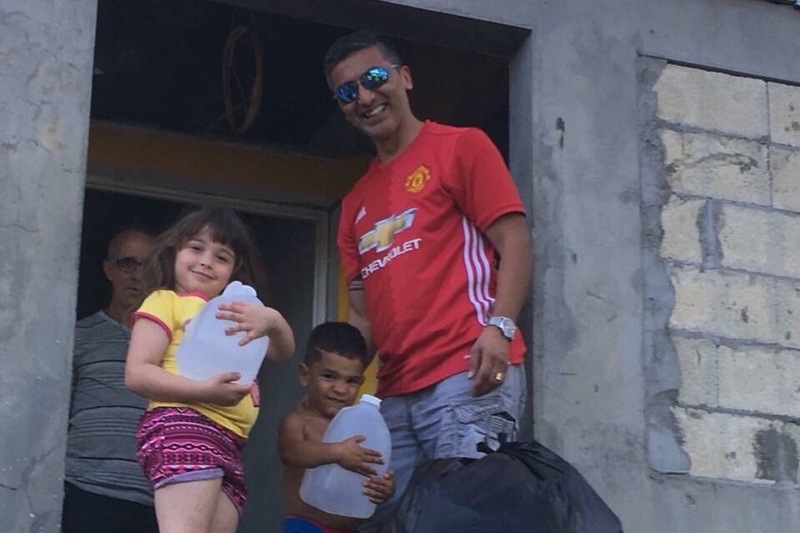 In past rides, we have raised money to fund a well and greenhouse in El Tablon and to bring aid in the wake of the hurricane disaster in Puerto Rico. This year, we ride to help more people here in the US at the Vidas Medical and Dental clinic . Ascary, doesn't just fly here and ride the 4 hour ride at Evolution ByCycle with us. 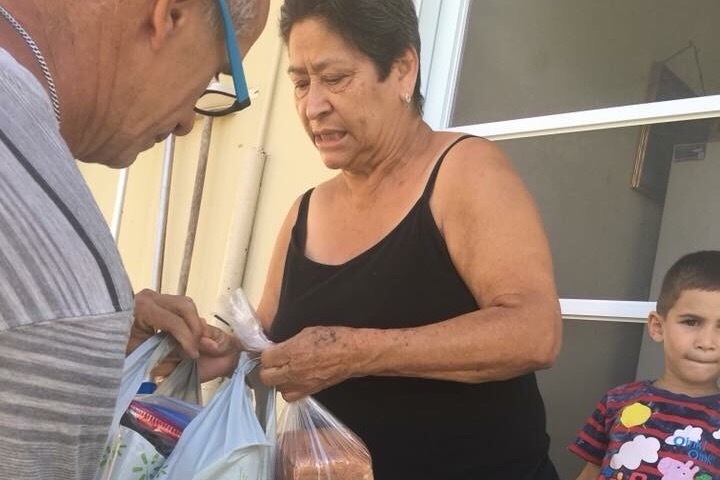 He personally delivers the aide to the people we are raising money for. His hands helped build the well in Mexico. 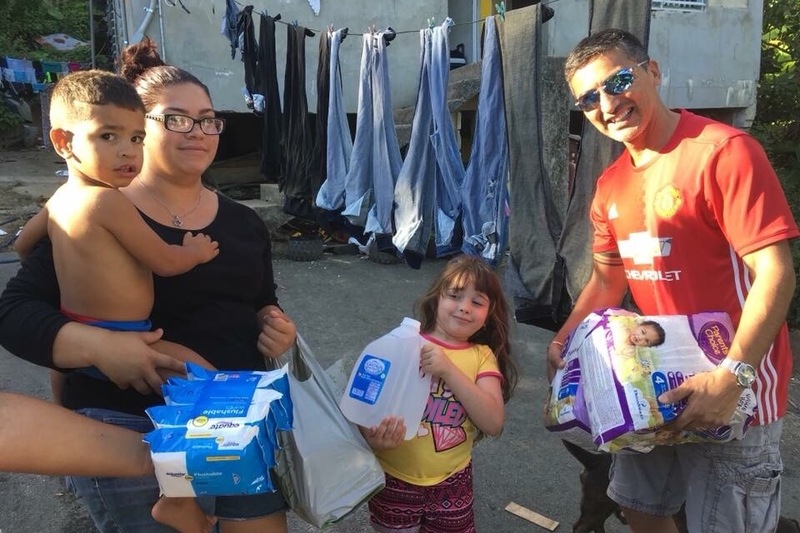 Last February, he hand delivered the results of our fundraising in the form of aid to families in need in Puerto Rico. His family volunteers many hours a month in the clinic helping others. Come out and ride, whether it be 10 minutes or the entire 4 hours. There will be food, chair massages and fun! Portions of the spin-a-thon will be instructed by our fabulous coaches, Jenn, Adam and Sydney and our favorite guest instructor (all the way from Chicago) Qaiser! The class is FREE and all donations are appreciated! Come join the fun on Saturday, November 17, 2018 from 11am to 3pm! Ascarys trip to Puerto Rico the beginning of this year to bring basic supplies to families in need. These donations were a direct result of the money we raised last year! Please join us again this year!